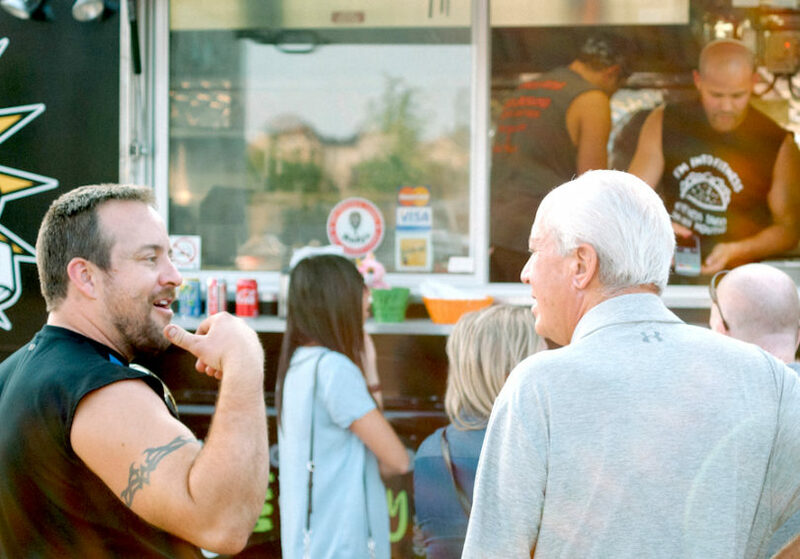 How one church has invited Food Trucks to help them reach their community with the Gospel in tangible ways. As they tip-toed to the bathrooms I could hear other families playing and laughing outside. Hundreds of them had come that evening from the neighbourhood and were strewn all over the church lawn and parking lot. Kids were playing street hockey and basketball. Parents were eating in lawn chairs and on tailgates. It was Thursday night and for many, even people who swore to never set foot in a church, that meant Breaking Bread food trucks at St. George’s Anglican Church in Burlington, Ontario. “We are in an affluent area where people live harried, hurried lives, never really spending time with each other,” said Rev. Canon Ray David Glenn, rector of St. George’s, which is why the church decided to organize and host food truck nights with gourmet-style food for their community. “For us, surrounded by busy parents with young children and house values of over $1 million, something like this just made sense,” Stephanie said. “I contacted food trucks first to see if they’d be interested in joining us,” Stephanie explained. “We had just run a very successful outreach event and had some results to show them. I had experience running events and a marketing plan so they knew it wouldn’t be a waste of their time.” With some of the trucks onboard, they were able to get a small city grant and attract some local organizations to help with the sports and crafts. Hosting the trucks doesn’t make or cost St. George’s money. Apart from scheduling the two or three weekly trucks, setting up garbage cans and a few hockey and basketball nets, the event is relatively low-maintenance for them, requiring only a few volunteers each week and often attracting 400-500 people. “We have a lot of regulars now. People meet their own neighbours at the craft table. And, a few of them have even told us they consider St. George’s their church home, they just don’t come on Sundays, yet,” she said. “I would recommend churches begin with these five steps,” Canon Ray David said. 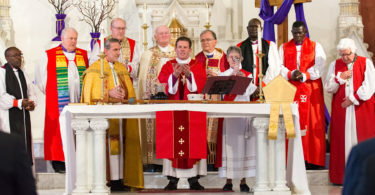 Scott Hunt is the Communications Director for the Anglican Network in Canada, a diocese of the Anglican Church in North America. He’s a member of St. George’s Burlington and lives in Fergus, Ontario with his wife, Richelle.